WASHINGTON — The U.S. Fish and Wildlife Service is directing dozens of wildlife refuges to return to work to make sure hunters and others have access despite the government shutdown, according to an email obtained Wednesday by The Associated Press. The partial restaffing of 38 wildlife refuges is angering wildlife groups, who accuse the Trump administration of trying to minimize the public impact of the more than two-week-old shutdown to limit the political blowback for President Donald Trump. Trump and Democrats in Congress are locked in a dispute over Trump’s demand for billions of dollars for a wall on the southern U.S. border. In an email sent Tuesday afternoon, Margaret Everson, principal deputy director of the Fish and Wildlife Service, cites “opportunities, including hunting” that are being lost in the shutdown. “While many of our refuges have remained accessible, but not staffed, the extended lapse in federal appropriations is impacting both our ability to serve the public and to protect natural resources under our care in some places,” Everson wrote. “For the next 30 days, using previously appropriated funds, we will bring back a limited number of employees to resume work on high priority projects and activities that support the Service’s mission and meet the public’s desire for access to Refuge lands,” Everson said in the email. Everson did not immediately respond to an email from the AP seeking comment. The shutdown has forced federal agencies to stop issuing paychecks for hundreds of thousands of government employees, limiting government services to only the most pressing, such as Transportation Security Administration workers providing security at airports without pay. On Wednesday, the National Wildlife Refuge Association, the Coalition to Protect America’s National Parks and the U.S. 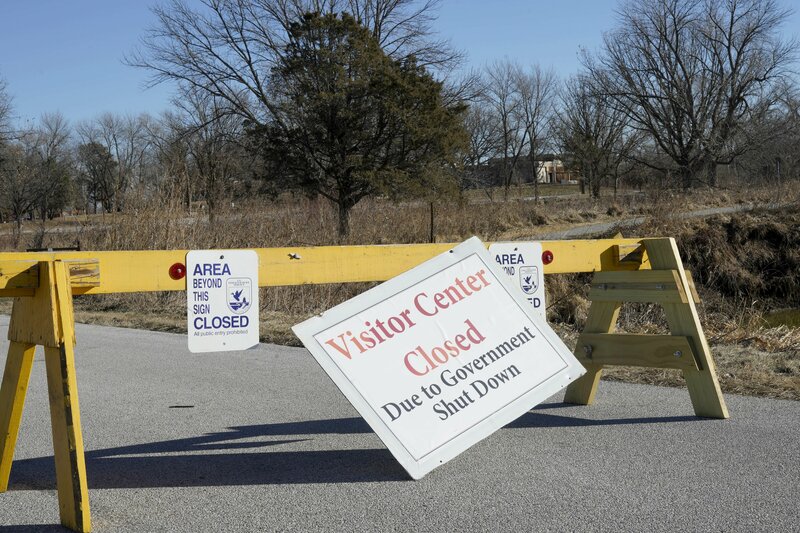 Fish and Wildlife Service Retirees Association urged the Trump administration to keep national parks, wildlife refuges and other public lands closed to the public during the shutdown. “It is simply impossible to steward these shared American treasures properly, leaving thousands of lands and waters accessible to the public with no staff on site, even for an emergency,” the groups wrote in a letter. “If it wasn’t essential to have these refuges open for the past three weeks, how is it essential now?” she asked. The bottom line was the Trump administration was trying to “make this less painful to the American public,” she said. According to the email, the wildlife refuges being restaffed include Oklahoma’s Wichita Mountains, scene of an annual winter elk hunt. The other national refuges staffing up again stretch from the Midway Atoll in Hawaii to Florida’s Merritt Island.